Jacques Benveniste, born in Paris in 1935, had what might be regarded as a conventional career as a medical scientist. He specialized in immunology and became head of a department devoted to that discipline at Inserm, which is the French National Institute of Health and Medical Research. In 1979 he published an important and well-received paper on PAF (Platelet-Activating Factor), and he is widely regarded as having been the scientist responsible for the discovery of this important element in understanding how heart disease and strokes can occur. The name Jacques Benveniste is, therefore, one that carries considerable respect in the world of immunology. One aspect of his research involved the messenger function of PAF – the mechanism by which cells communicate with each other - and this was the subject of his 1979 paper. However, he then went on to develop this idea in a direction that takes us from the realm of science to something completely different! Many people sincerely believe that homeopathy is a legitimate means of curing a wide range of diseases, but just about anyone who knows the first thing about medicine takes a very different view. It is based on the ancient idea that if something – such as a poison – does you harm, then the way to reverse the harm is to take even more of the same thing, but in a very dilute form. The dilution is key to the cure – the greater the dilution, the better the chance of a cure. This may sound absolutely crazy – mainly because it is – but that is the principle at the heart of homeopathy, and many people take it very seriously. You may ask, with some justification, how an extremely dilute solution can have the remotest effect on a patient, given that they are drinking almost pure water, but the homeopaths have an answer to this problem. This is that “water has memory”. The notion is that if a molecule of water has had contact with a molecule of something other than water, then it will “remember” this fact and pass on the message to every other water molecule with which it has contact. Clearly, according to the homeopaths, the more water molecules there are with which the messengers can have contact, the better. That is why a highly dilute solution is more effective that a less dilute one – the patient has a much greater chance of ingesting molecules that have “got the message” if the message has been passed on as many times as possible. However, the problem remains as to how these messages can be communicated in the first place, and that is where Jacques Benveniste comes into the picture. Jacques Benveniste spent a considerable amount of time pouring water into and out of laboratory flasks, into which he had originally placed a small quantity of a chemical. He measured the amount of chemical in the flask each time the water was poured out and decided that there was always a “memory” of the chemical in the water, no matter how many times he had – in effect – rinsed out the flask. It was, therefore, possible to detect which of two flasks had originally contained the chemical – when one had and the other had not – simply from analyzing the water in the flasks after many rinsings out. Jacques Benveniste published his findings in the highly prestigious journal Nature in 1998 and excited considerable interest in what appeared to be an impossible claim. Needless to say, other researchers tried to repeat the experiment, which did not require a huge amount of expensive equipment, but with very limited success. The only people who said that Benveniste was correct were already devotees of homeopathy who were delighted to have confirmation from a reputable scientist that they had been right all along. Having – as he thought – produced convincing proof of the memory-retaining capacity of water, Jacques Benveniste thought he saw a way of cashing in on his work. He left Inserm (it is possible that he was pushed out rather than resigning his post voluntarily) and founded a company named the Digital Biology Laboratory, through which he hoped a make a vast fortune by completely revolutionizing the world of medicine. His new idea was that the memory retained by a quantity of water could be digitized and then transmitted to another body of water via a telephone line or the Internet. If one assumed that the first flask of water contained the cure to a particular ailment – which might well be assumed by a convinced homeopath – then the digitized memory of that cure could be sent anywhere in the world and transfer its miraculous powers to patients who would only need a glass of water and a computer (these days, a smartphone would probably have been sufficient). Presumably, a certain amount of money would also have flowed into the coffers of the Digital Biology Laboratory. Jacques Benveniste was again keen to publish his findings, but he found little support for his views in the scientific community, for reasons that are entirely understandable. However, Jacques Benveniste’s efforts did not escape the notice of the Ig Nobel Board of Governors, who award ten “prizes” every year to people whose efforts in the spheres of science, medicine, literature, economics, peace, and other fields, have attracted attention for being trivial, wacky, a waste of time, or just plain ridiculous. Ig Nobel prizes have been awarded every year since 1991, with the winners being invited to a ceremony at Harvard University at which the awards are presented by genuine Nobel Laureates. Some Ig Nobel prizewinners with a sense of humor actually turn up in person, whereas others take offense or are far too embarrassed to risk being seen in public. 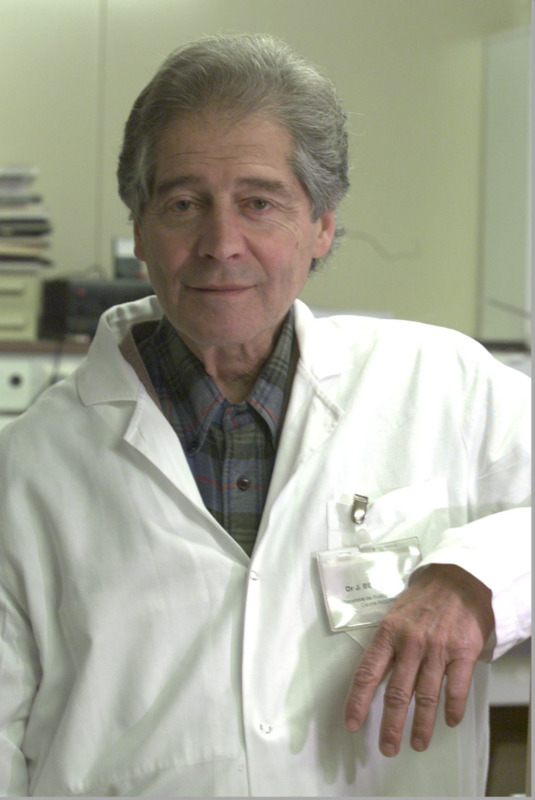 Jacques Benveniste had the unique honor of winning two Ig Nobels, the first being in 1991. This was the first such award in the field of Chemistry. However, his persistence in continuing to astonish the scientific world earned him a second Ig Nobel, in 1998. He did not collect either award in person, but said that he was happy to be recognized in this way because it proved that the people making the awards did not understand the first thing about anything. Unfortunately, there was no possibility of Jacques Benveniste ever collecting a third Ig Nobel because he died in 2004 at the age of 69, with his revolutionary claims still unproven.